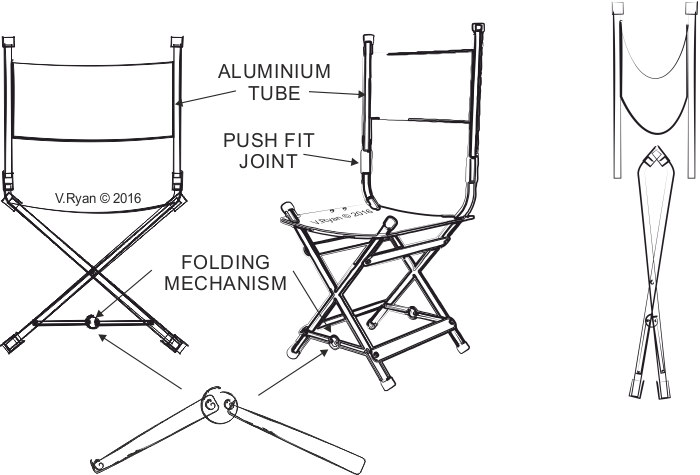 Draw a variety of ideas for your folding chair. Include notes / annotation and labels to help explain your designs. CHAIR ONE: This chair is manufactured from aluminium tube. The folding joints have a rivet at their centre, allowing movement. 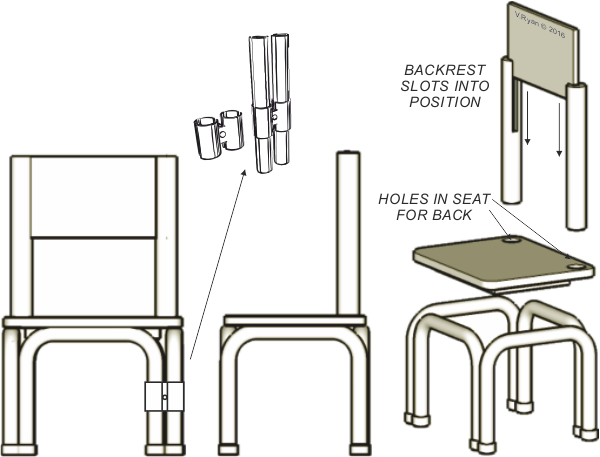 CHAIR TWO: Double joint used at each corner, tightened with allen key, holding the chair frame together. 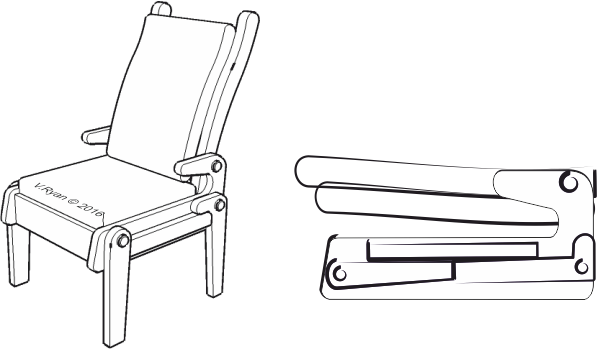 CHAIR THREE: This folding chair is based on a deck chair. Aluminium rectangular section tube is the selected material, as it is lightweight and corrosion resistant. CHAIR FOUR: This chair folds into a cuboid shape. It can be placed in the back of a car for transport, as it is a regular shape. It has two comfortable cushions and the seating positioned has been determined to meet ergonomic demands. The folding has been influenced by Owen Maclaren’s ideas.